What is an Energy certification? An energy certification is a document that reflects the amount of energy consumption required by the dwelling, indicating CO2 emissions released by the property. Besides informing about the estimated consumption, it informs about the possibilities for improvement in relation to energy savings, and also mentions which the negative points are where these energy losses take place. Is it mandatory to have an energy certification? In case you wish to sell or lease a property, it is mandatory to accompany the operation by a current energy certification. Since June 1st, 2013, energy certification is mandatory in Spain to be able to lease or sell a home or store. The decree that regulates this report is the Royal Decree 235/2013. On the other hand, the energy certification regulation results from a European Directive all member states have already put into effect. The responsibility for requesting this energy certification falls on the property owner, who must hire the services of a certifying technician in order to obtain his energy certification. What does the letter displayed on the Energy certification mean? The contents of the energy certification is summarized on the energy label. This label, which looks like the one that accompanies electrical appliances, indicates the emission and consumption qualification that the property has obtained in its energy certification, on a colour coded scale that goes from A –the most efficient- to G –the least efficient. 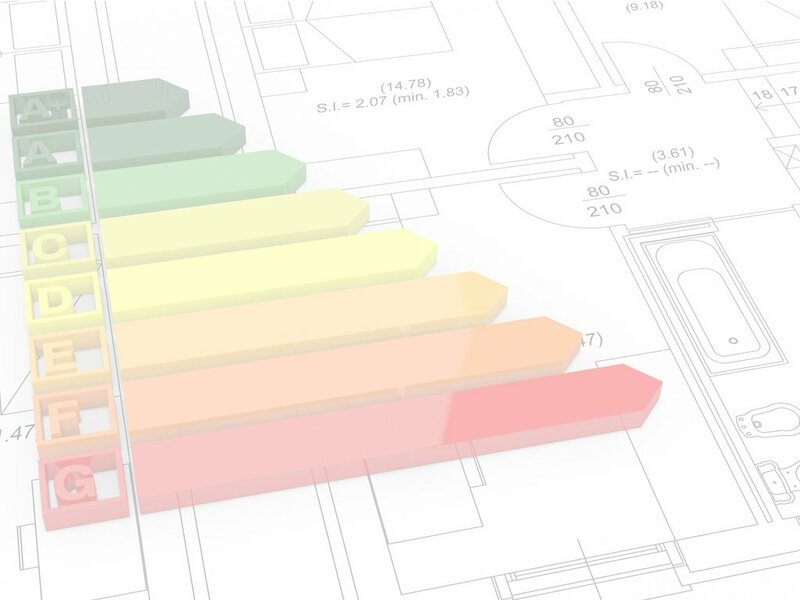 At the time it is not required to do improvements to older buildings; nonetheless, since the last few years it is a mandatory requirement for new buildings to comply with the best energy qualifications. What penalties could be applied to me for not having an energy certification? Bill 8/2013 of June 26 establishes the penalties for failure to comply with energy certification regulations. These penalties are divided into three groups depending on the seriousness of the offense. They range from the failure to mention the energy certification obtained within sale or lease advertisements, to selling without having previously carried out the energy certification, or forging its results. Minor offenses are fined with sums between 300€ and 600€. Serious offenses involve fines ranging from 601€ to 1000€. Major offenses are fined with 1001€ and up to 6000€. Who can perform the energy certification? The energy certification of an existing building is carried out by certifying technicians who have the proper academic degree and professional license for performing construction projects or their thermal installations, or energy certifications, who are freely selected by the building owners. Still have doubts about the Registration of Tourism Activities? Ask us, no strings attached!